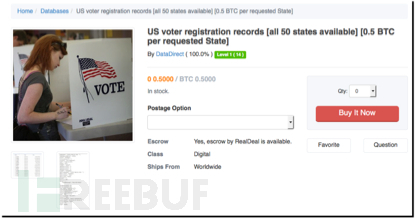 It is said that recently there is hacker selling registration records of US election voters on the deep web at the price of $340.38 per requested state, which the US election assistance commission (EAC) knew nothing about at the same time. It is difficult to confirm whether the provided data is legitimate at present. But it is the very same hidden seller of Thomson Reuters World-Check Terrorist’s database on the deep web. This time, he advertised “the Real Deal”. 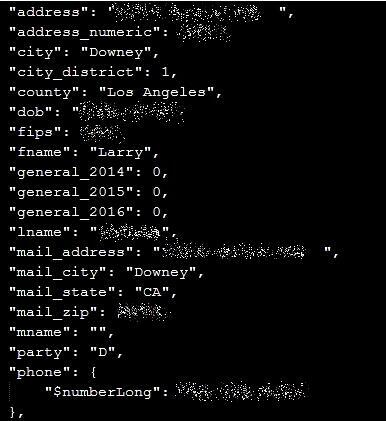 This data trafficking of voter records can be traced back to December 2015 when 191 million US voters’ registration records were found circulated on the Internet by a security researcher Chris Vickery. So far, it is unclear whether the data is from the same source or the seller has stolen the data from government server. In December, Vickery said that the authorities didn’t show more interest to data protection after being aware of this incident. 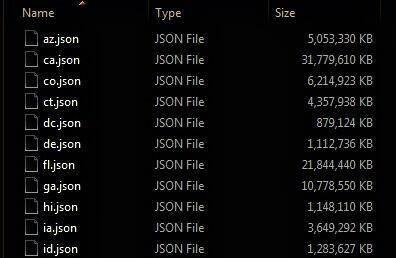 The data seems authentic by observing the sample screenshot. If it can further be confirmed to be authentic official data, this will undoubtedly be a deadly strike to both EAC and voters themselves. How far is America from a “network 911” when hackers can easily get this data? This is not the first data breach of voters’ records. In this April, voter records of Mexico can be accessed to any Mexican citizen on the network. The American Presidential Election is still in its full swing currently. Will this data breach cause pressure on the election?